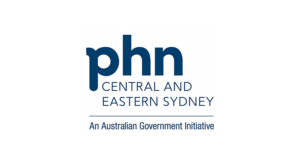 Central and Eastern Sydney Primary Health Network (CESPHN) is the second largest PHN by population in Australia, serving approximately 1.5 million individuals. CESPHN provides key programs and services that are focused on strengthening the delivery of health practices. To enhance their efficiency and effectiveness, CESPHN has implemented Folio as the organisation’s risk management system, contract and insurance register, milestone and timeline management system in addition to managing their internal forms. The Folio system has worked very well for CESPHN by way of allowing us to build a system that suits us. The forms in particular have been of great use, eliminating many paper forms and other systems while allowing a clear, easy to use, organisation wide approach coupled with auditable tracking of the forms themselves and their progress. We would recommend Folio to other not for profits and similar organisations as it has been a cost effective and useful package that has fulfilled our needs and continues to grow and be flexible with our requirements.